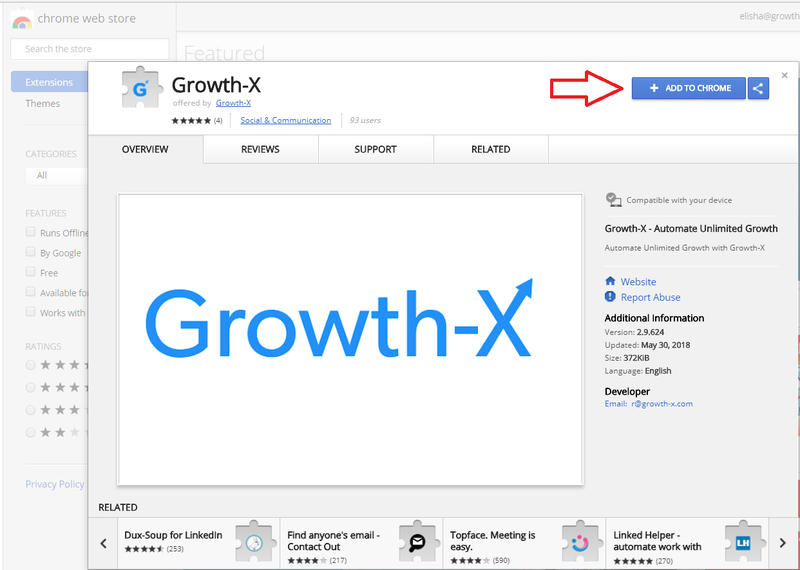 In this article, we walk you through how to use the Growth-X Chrome Extension. Step 1: To install the extension, simply visit this page on the Chrome Store (don't worry - it's free for all our clients). Press "Add To Chrome". Step 2: Once you've added the extension to Chrome, go ahead and visit LinkedIn. 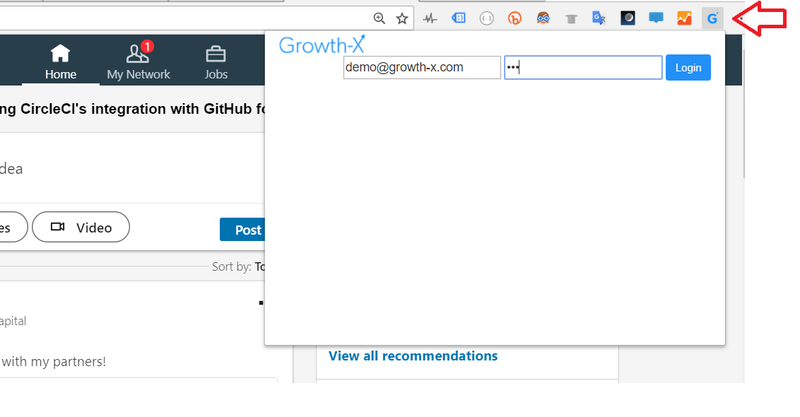 You will have a small Growth-X icon on the top-right of your browser. Click it in order for the pop-up to open. 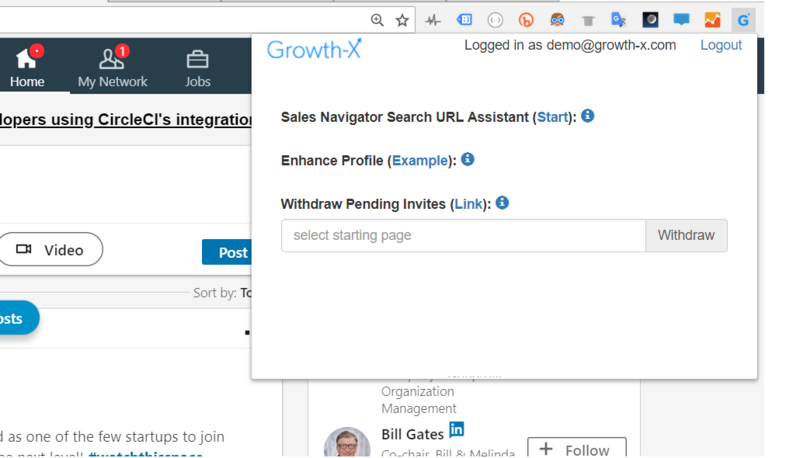 The pop-up will allow you to enter your Growth-X user credentials. Press "Login".